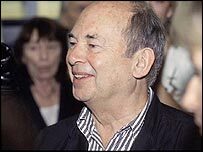 Renowned illustrator Quentin Blake has been made a CBE in the New Year Honours list. Children's writer and illustrator Quentin Blake is one of the UK's best-loved illustrators. 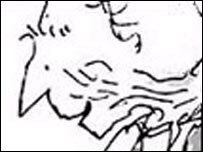 Best known for his partnership with author Roald Dahl - which has been described as "a match made in heaven" - Blake's illustrations have graced such classics as The BFG, The Twits and The Witches. But he has also created characters of his own - such as Mister Magnolia and The Quentin Blake Book of Nonsense Verse and... Nonsense Stories - and his books have won numerous awards. Blake was born in London in 1932 and has drawn "ever since he can remember". His first published illustration was carried in Punch in 1949, while he was still a pupil a Chislehurst and Sidcup Grammar School. He went on to read English at Cambridge and became a freelance illustrator. After National Service, Blake did a postgraduate teaching diploma at the University of London, followed by life-classes at Chelsea Art School. He went on to teach for over 20 years at the Royal College of Art, where he was head of the Illustration department from 1978 to 1986, and became a visiting professor in 1989. But it is his work on children's books that made Blake a household name. He first entered the world of children's books in 1960 with A Drink of Water, by John Yeoman. He went on to illustrate nearly 300 books with writers such as Russell Hoban, Joan Aiken, Michael Rosen, John Yeoman and, of course, Dahl. He became the first ever Children's Laureate in 1999 - a role which aims to highlight the importance of children's literature. Blake has won countless awards and prizes for his work - including the 2002 Hans Christian Andersen Award for Illustration - and was made an OBE in 1988.